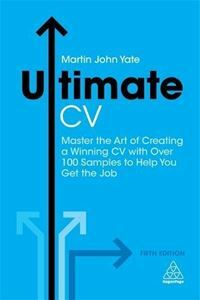 Master the Art of Creating a Winning CV with Over 100 Samples to Help You Get the Job. This new edition provides the key guidance needed to create an irresistible CV that will grab any recruiter's attention and help the reader stand out from other candidates, open doors to job interviews and maximize the potential for job offers. It covers every aspect of this crucial part of the job-hunting process containing hundreds of sample CVs, tailored to specific jobs and industries, alongside insightful advice on hunting for jobs. Offers all the guidance needed to create a distinctive, professional CV to land that dream job.